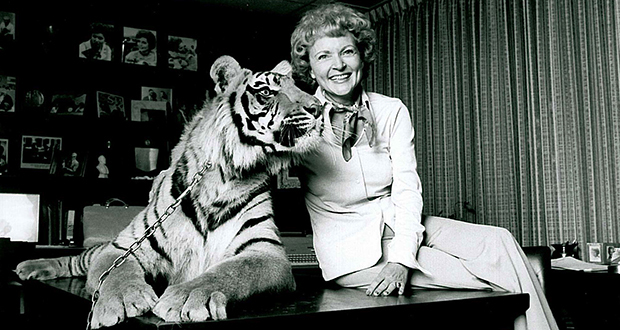 Betty White is a huge animal lover who would have become a zookeeper had she not gone into acting. She rejected a role in "As Good As It Gets" because of an animal cruelty scene. She visits local zoos when traveling, and she's been a long-term board member and generous donor to the Los Angeles Zoo. 2. Zoos around the world are raising cheetah kittens with puppy companions to help the cheetahs deal with excess energy, learn social cues, and combat stress. 3. In the elections for mayor of Rio de Janeiro in 1988, the population was so unhappy with politicians, that a well-known monkey (Macaco Tião) of the local zoo received over 400,000 votes. 5. A Japanese zoo named Maruyama Zoo unsuccessfully tried to mate a pair of hyenas for 4 years before realizing both were males. 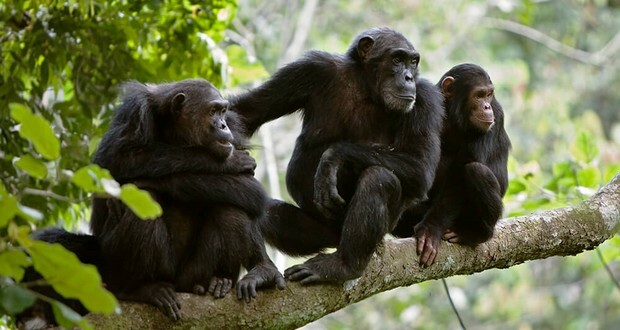 Chimpanzees, who cannot swim, have drowned in zoo moats trying to save others. Given the chance to get food by pulling a chain that would also deliver an electric shock to a companion, Rhesus monkeys will starve themselves for several days. 7. A homeless cat sneaked into a lynx's enclosure in a Leningrad zoo and the two became best friends. 8. There is a zoo named Marine Park in Japan that has tiny holes in the otter enclosure allowing for people who visit the zoo to shake hands with the otters. 9. Zookeepers in England had to learn French in order to speak to baboons coming from a French zoo because the animals didn't respond to English commands. 10. Piss from the Maned wolf smells like marijuana and one day had police searching for pot smokers at a Dutch zoo. The officers were really just smelling wolf piss. 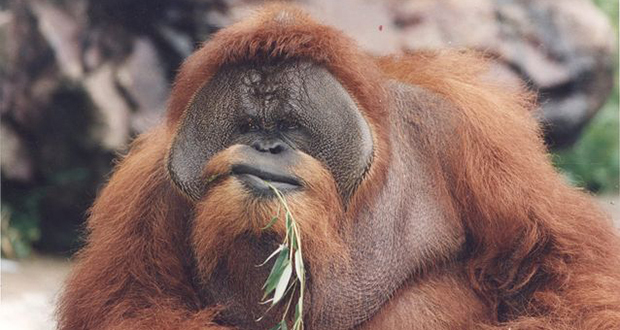 An orangutan named Fu Manchu at the Henry Doorly Zoo in Omaha, Nebraska had learned to pick locks with a piece of wire that he had hidden in his mouth. 12. In 2008, a 7-year old Australian boy broke into a reptile zoo, killed 13 reptiles and then fed them all to a 440 pound 11-foot saltwater crocodile which was a resident at the same zoo. 13. In 1993, when a military jet flew over a Sweden's Froso Zoo, animals ate 23 of their own babies as a protective response. 14. Charles Darwin collected a Galápagos tortoise (Harriet) during his 1835 visit to the Galápagos Islands as part of his round-the-world survey expedition. It lived 175 years and died of heart failure at the Australia Zoo in 2006. 15. In 2015, a group of penguins escaped from an enclosure at a Denmark zoo. Unfortunately for them, they left footprints which led to their recapture. 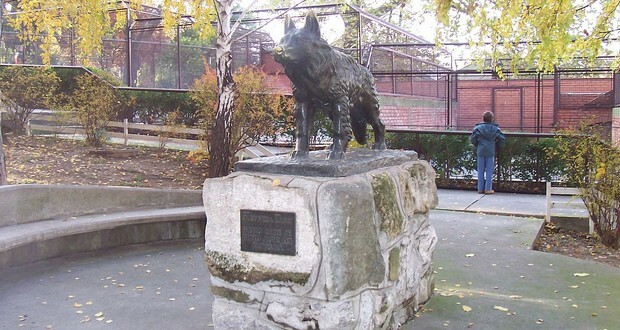 A German Shepherd guard dog named Gabi in a Belgrade Zoo once fought and defeated an escaped jaguar and in doing so saved the life of a zoo employee. 17. Mike Tyson offered a zoo attendant $10,000 to open the cage of a bullying gorilla so he could "smash that silverback's snotbox." His offer was declined. 18. The creator of Rocko's Modern Life came up with the idea for his show when he came across a wallaby at a zoo that "seemed too oblivious of the chaos around him." 19. A chimp named Santino in a Swedish Furuvik zoo collected round disks of concrete, stockpiled them, and saved them until he could throw them at visitors. "Nothing like it has as yet been reported from the wild, nor from any captive chimpanzees". 20. Heart disease is the leading cause of death in male Western lowland gorillas in North American Zoos. To combat this Cleveland Metropark Zoo doubled the gorilla's leafy green intake which lead to a 65 pound weight loss in the gorillas. 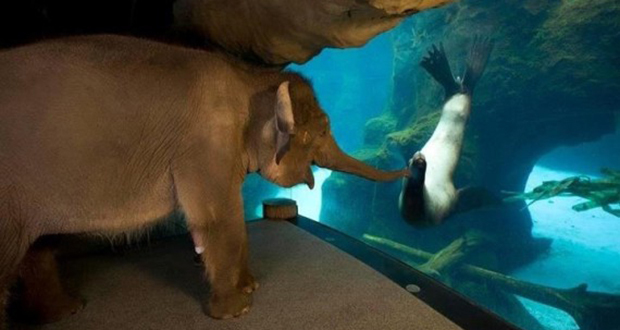 The animal handlers at the Oregon Zoo took Chendra, an Asian elephant, around to meet some other animals. The sea lions were her favorite. 22. All pandas are owned by China. They rent them out to zoos for $1 million per year each for a minimum of 10 years. 23. During 1946 nuclear weapon tests in the Pacific, animals were put on ships in the blast area. Goat #119, behind plate armor inside a gun turret, died from the radiation in 4 days. Goat #53, out on the deck, died in 2 days. Pig #311 was found swimming around and was brought back to the zoo in Washington. 24. In 2009, two zebras died of hunger in Marah Land Zoo in Palestine and were replaced with donkeys painted with black and white stripes. 25. During World War 2, trained elephants at a zoo in Tokyo were starved to death. Throughout the ordeal, they repeatedly performed their tricks in fruitless attempts to get fed.